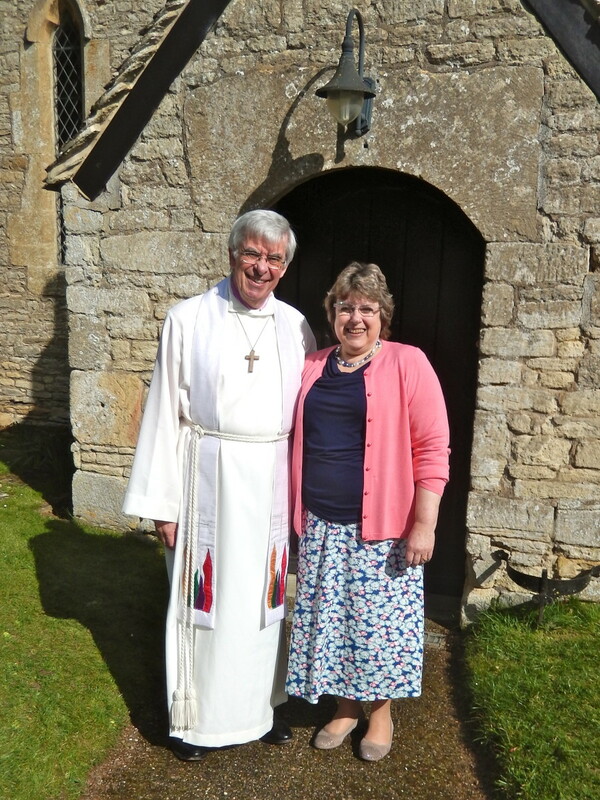 We welcomed Paul Boddam-Whetham, along with his wife Nicci, as our new Rector in February 2016. Paul is the 39th minister in post in this beautiful country church . Let us tell you a little bit about our church. St. Bartholomew’s is a beautiful medieval building set at the heart of the village. It has been very well cared for and provides us with a marvellous light area for worship which is cool in summer and very warm in winter. The acoustics are excellent. On a typical Sunday morning about 130 people meet for worship – about half live in the village and the others come from outside. We are very much an all-age congregation with significant numbers from each decade of life up to and including nineties! We have a crèche and various children’s groups (up to teenage) so that the congregation reduces by 25% when the children leave the service for their own activities. We have a number of special events through the year, with our unique Fritillary Sunday each April as the highlight. We like to celebrate the seasons and often do so with food – pancakes, picnics and harvest suppers. We value our relationship with the local primary school and regularly host their events in the church. The website will show you that we have a number of midweek activities – bell ringing, handbell ringing, housegroups, Lent discussion groups, Alpha courses, Julian meetings and more – but we do not have too many as we feel it is really important that church members do things other than church! If you are looking for a church, we do invite you to come along and join us. We can assure you of a warm welcome and a style of worship which we feel is appropriate for an English village at the beginning of the 21st century.